Across Western Europe, the emphasis has shifted from physical manufacturing to the development of ideas, new products and creative processes. This has become known as the knowledge economy. While much has been written about this concept, so far there has been little focus on the role of the city. 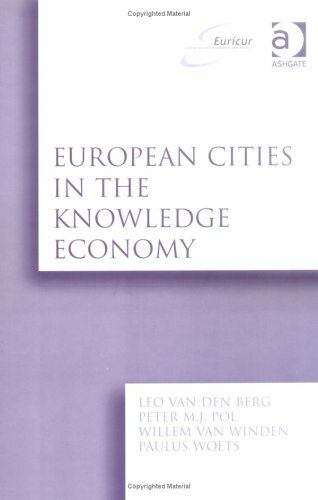 Bringing together comparative case studies from Amsterdam, Dortmund, Eindhoven, Helsinki, Manchester, Munich, Munster, Rotterdam and Zaragoza, this volume examines the cities' roles, as well as how the knowledge economy affects urban management and policies. In doing so, it demonstrates that the knowledge economy is a trend that affects every city, but in different ways depending on the specific local situation. It describes a number of policy options that can be applied to improve cities' positions in this new environment. Professor Dr Leo van den Berg, Dr Peter M.J. Pol and Dr Willem van Winden are at the European Institute for Comparative Urban Research (EURICUR), The Netherlands. Dr Paulus Woets is at the Dutch Ministry of Social Affairs and Employment.